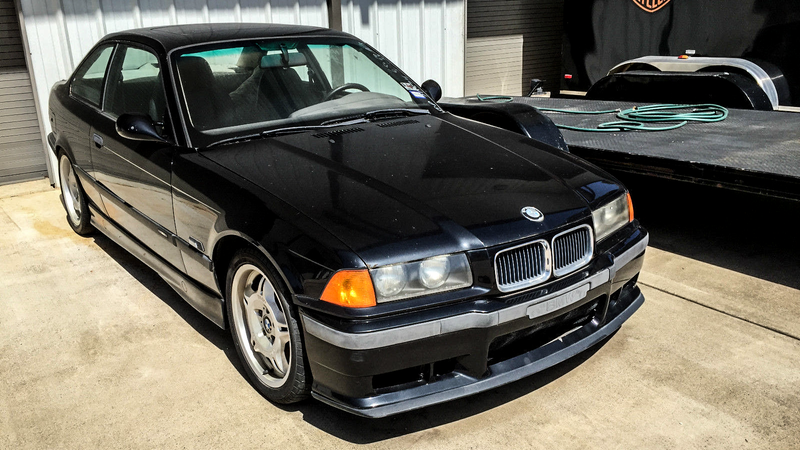 Would You Save This Ridiculously Cheap BMW M3 Or Let It Rot? When a car is neglected, it’s a reflection on not only the owner, but the community because it means that when enthusiasts see a relatively clean fixer-upper BMW E36 M3 like this one, they don’t ask “How about I take her off your hands?” I’m here to stop that because this car is for sale, and every one of us should buy it. This 1995 BMW M3 wasn’t the fastest car in the world. It wasn’t even the fastest M3 in the world. It had almost a three-digit horsepower figure less than its European counterpart, but that doesn’t matter because this car, both the model in general and this example in particular, is an exercise in possibilities. Nevermind that this car doesn’t run - that isn’t the point. You can make it run. You can make it fast. You can make it great. And for the ~$2,000 bid price, you can get it cheap. While the car does look quite rough, it’s not beyond saving. The engine needs a bit of TLC, as it lacks the spark to make the engine fire up, but the issue could be as simple as a sensor. The seats are ripped, but they’re split at the seams and can be repaired by any reputable upholstery shop, not to mention that they’re the desirable Vader seats that every M3 owner wishes they had. Exterior is fair for the age, paint looks all original and has does not look like its ever been wrecked. All of the body part VIN stickers match the car. There is a dent on the roof (fist?) and holes in the trunk lid from a spoiler that was on at one time. There is very slight hail damage on the hood and roof. The wheels are the split forged light alloy wheel and tires hold air but are old. The engine will turn over, but does not start, it does not seem to be getting any spark. Battery is new, radiator looks has coolant inside it and the oil looks ok with no mix of water. As it’s a Texas car, I wouldn’t worry much about rust, and the under hood pictures look quite promising. It’s an amazing price for a project car that could pay dividends if you could get it up and running relatively easily. Having owned one of these before, I can attest to its stellar handling and amazing road manners. With prices for older BMWs going up, it may be a smart move to pick this up while it’s still affordable with pocket change. We owe it to ourselves as car enthusiasts not to let this one get tossed to the curb. It deserves better.